Oh, I just love the way this brings out the green in my eyes! I can't wait for the guys to see me now! I think I shall have to get a dozen more!! 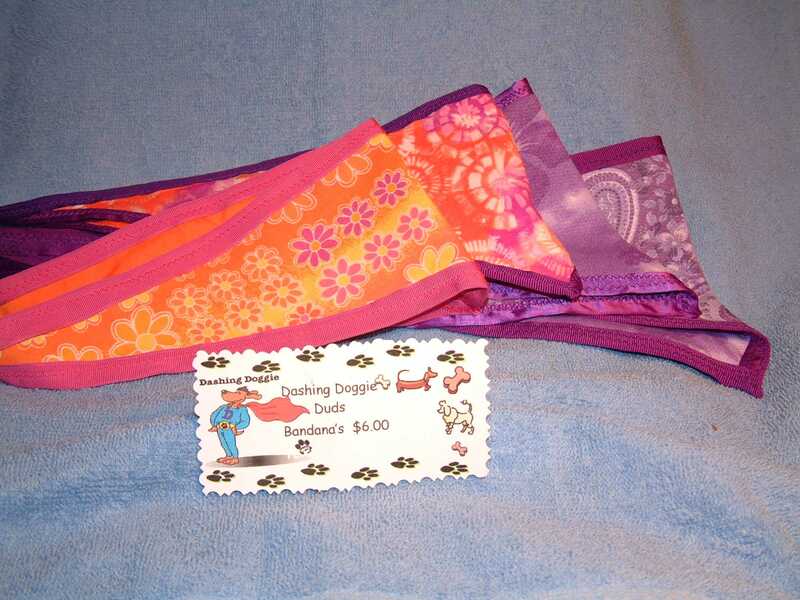 Reversible Bandanas .....or reversible bandana collar covers (they fit right on your own collar. Since they are reversible it is like getting two for the price of one! Quality fabrics and awesome colors. Now you can be Top Dog at any occasion (or just lounging around the house). 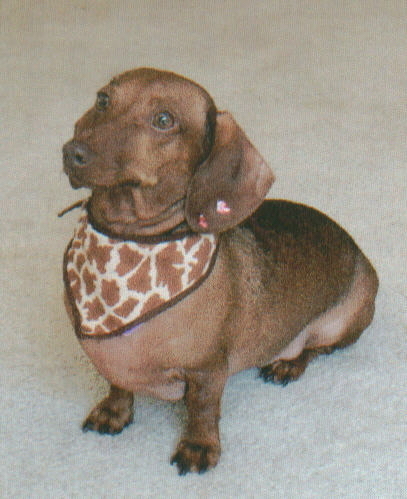 To order your size on bandanas we only need your dog's neck size, gender and what sort of design you are looking for. On clothes we need a few more numbers from you.Just send us an email and we can go from there!